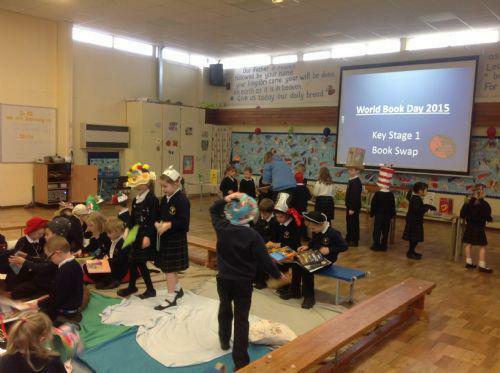 Year 1 have had a wonderful time celebrating World Book Day! Many of us had worked very hard to come to school wearing some kind of story based hat/mask/face paint etc and we looked brilliant! We also came together with Year R and 2 to have a KS1 Book Swap, all of the children were able to swap a book and go home with something new to read! We also got snuggly reading these books whilst also being treated to a cookie and chocolate milk! We ended the morning with a treasure hunt to find the £1 Book Tokens!